Brassica napus and Brassica rapa are grown across six continents for purposes including oilseed, biofuel, vegetables and livestock fodder. Hybridisation between the two can downgrade seed quality reducing grower returns. We assess the similarity of flower visitor assemblages of both species to determine the applicability of pollinator management strategies to both. 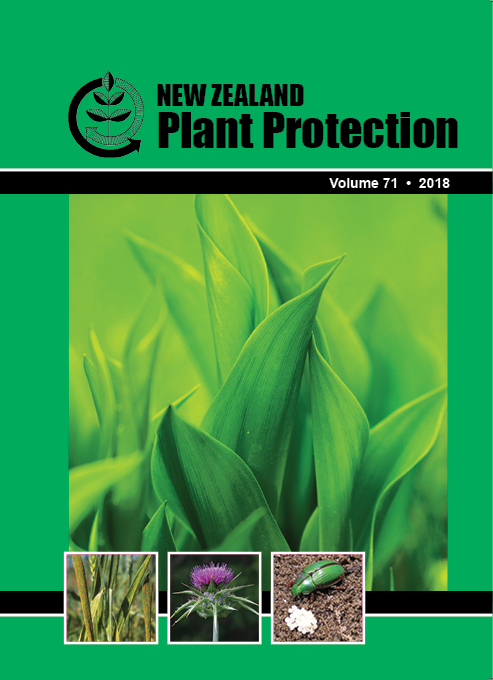 Insect taxa were collected using window traps placed within ten peak-flowering fields, five each of B. napus and B. rapa (one cultivar/species) located in South Canterbury, New Zealand. Both crops contained similar flower visitor assemblages with 25 of 29 taxa in common. Of the 1549 insects counted, Apis mellifera was most abundant (~40% of individuals in both crops). Bombus terrrestris and the flies Delia platura, and Oxysarcodexia varia were also common. Crop location more likely influenced assemblage composition than crop species. Strategies to boost the role of bee and non-bee pollinators have potential benefits for both crops; however, a broader understanding of pollinator movement between crops is required to optimise seed purity and crop spacing.